Here’s my “Freaky Friday Fashion” pick of the week. 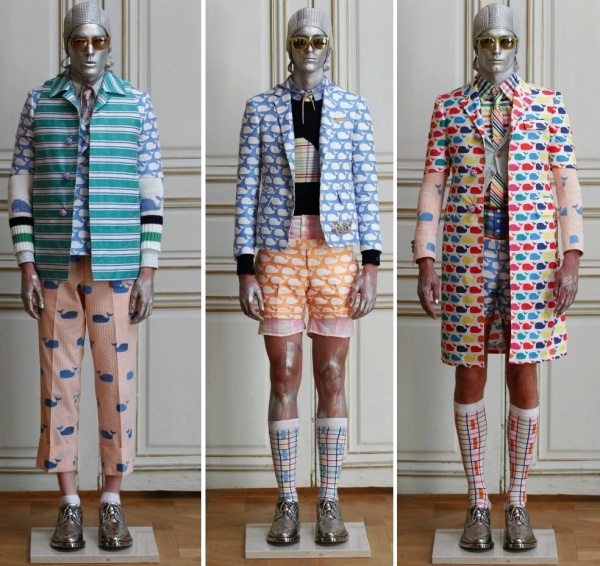 It’s Thom Browne’s spring 2013 collection for men. I guess it’s not so much “freaky” than it is comical. I would say this look reads: preppy, golf hunk meets “save the whales” activist who doesn’t know how to do laundry. It’s hard to take shrunken sweaters layered under shirts and flood pants paired with liquid-metallic loafers seriously. I do like the color combinations and the exorbitant use of the whale icons. And the legs on these guys are hot (oops… did I say that out loud? I meant, I really like the knee-socks)! 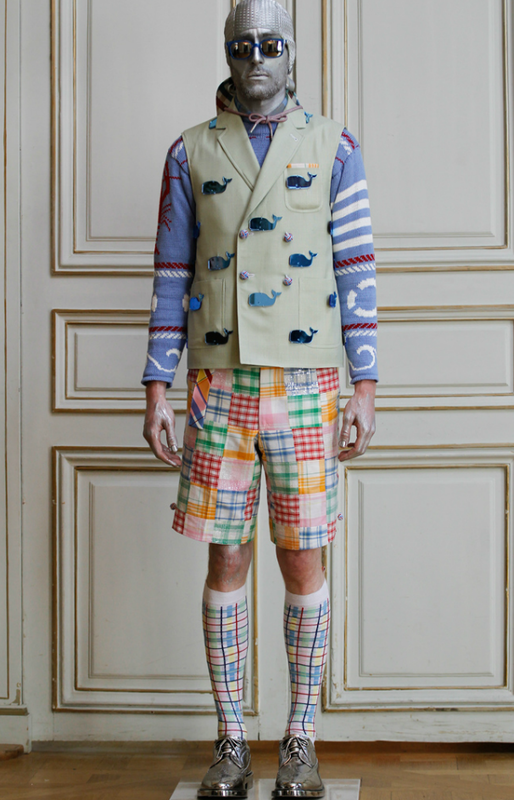 Photo courtesy of Thom Browne New York.